I know, I’ve been MIA but to my defense I’ve had a lot going on. I’ve been going out on various interviews for a new day job to pay the rent and provide me with extra income to continue to keep adding to my red lipstick collection. 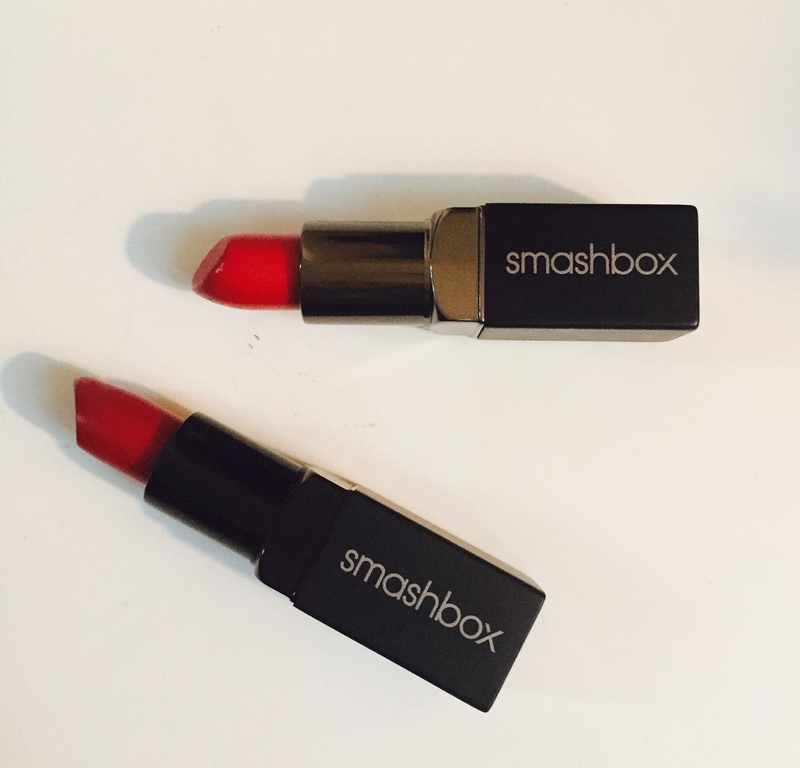 While I’ve been busy with that I’ve encountered two new shades of crimson from Smashbox, and both are gorgeous. Legendary and Infrared Matte – can you guess which is which? I loved Legendary because it’s a bright red, perfect for my light olive skin. What does the rubber mask do? ColourPop? Is that a new brand? Consider it a level up from the standard sheet mask. Only instead of draping the mask over your face, as you would with a sheet mask, you mix equal parts powder and water and then slather all over your skin. Once the mineral and nutrient-rich mask is applied, it adheres to every inch and crevice of your face, forming a sturdy, gelatinous mask. This transformation is made possible thanks to an ingredient called alginate, which is found in kelp extract. I got that off xo vain. Colourpop is an indie company that sells cheap lipsticks and eyeshadows for five bucks. I saw them through ig and youtube. The mask sounds intense, did it work? Was it a purifying mask or hydrating one? What did you think of the Colourpop? was the texture and quality good? I love Smashbox lipsticks! Another new red colour I love is Mulberry, do try it out, it is great for all skin tones. I’ll look for it when I’m next out and about.